Carl Bernstein was born in Detroit, Michigan. His early music studies included violin and piano. At the age of sixteen he concentrated his attention on the guitar. He has studied with some of the world's most renowned guitarists. In 1965 he studied with Julian Bream in England and with Andres Segovia in Santiago de Compostela, Spain. Other teachers include Manuel Lopez Ramos in Mexico and Alirio Diaz in Italy. Carl graduated with a major in music from Wayne State University in Detroit, Michigan. Bernstein has been a professional musician since the age of eighteen. He has performed at many locations in the United States. Between 1972 and 1978 he traversed the Caribbean and Latin America where he performed extensively, including over sixty concerts sponsored by the U.S. State Department. For the past 25 years Carl has been living in New Mexico where he performs regularly in a wide variety of venues. In addition to his regular solo classical guitar concert performances, he is currently working with a jazz ensemble and accompanying a variety of singers. Carl has been a guitar teacher for many years. He has taught privately, at the K-12 level, and at Colleges and Universities. Currently he is on the music faculties of New Mexico Highlands University and the United World College, both located in Las Vegas, New Mexico. The artist performs music in many styles including classical, improvisational, popular and original compositions. Four albums of Bernstein's music have been recorded and released: "Spectrum" and "Far Off Place" contain both original and traditional solo guitar music reflecting his diverse repertoire. He has also recorded "Like Water" a collaboration of original music and poetry. 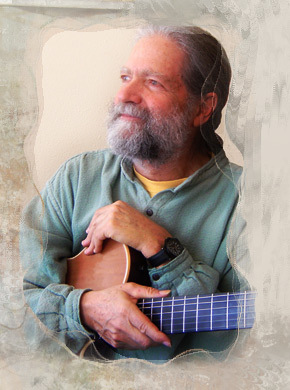 His most recent recording, "Rainbow Spring" contains improvisational selections in an ensemble setting with guitar, violin, native American flute, and percussion. Carl is currently recording another solo guitar album which should be released soon.